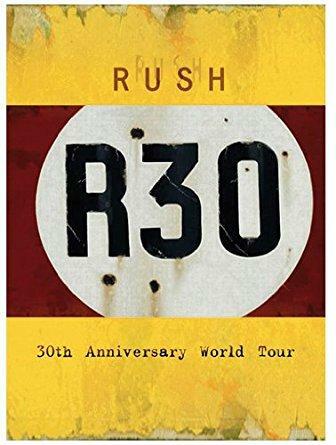 Rush - "R30 - Live From Frankfurt"
"Live From Frankfurt" is the sensational successor of the international bestseller "Rush In Rio" from 2003! Geddy Lee, Alex Lifeson und Neil Peart celebrated their 30-year jubilee during their explosive, sold-out world tour in 2004. The concert at the Frankfurt Festhalle has been filmed by 14 cameras and comes with an absolutely excellent sound quality, e.g. dts 5.1 surround sound. This DVD set is equipped with extensive bonus material, like numerous interviews, studio-live-recordings or promio-videos - definitely a "Must-Have" for all fans as well as all friends and connoisseurs of terrific live shows!